adidas Athletics has unveiled its latest Z.N.E. collection, the first apparel range of its kind to be inspired by the rising heartbeat of athletes before a game. adidas has worked closely with athletes during the development process, including collecting and analyzing data to help shape the Athletics Pulse range. This focuses on the ‘pulse moment’ when athletes leave the locker room and head towards the field, a moment when their heart rate peaks in anticipation. At the heart of the collection is the adidas Z.N.E. Pulse Knit Hoodie, crafted with the unique heartbeat knit in breathable merino wool. It is designed to ensure a comfortable fit for every athlete, no matter the sport they compete in. The collection, which features a variety of knitted and Jacquard hoodie designs, is created to seamlessly move from game day to any day. Its next level craftsmanship is evidenced in the trim details, iconic design markers and functional construction. The knit version also ensures the wearer stays cool when the pre-match heat is on. “In Athletics, we constantly aim to enable athletes to give their best, by providing them with apparel that makes them feel comfortable and allows them freedom of movement without distraction,” said Christina Schramm, Senior Design Director. 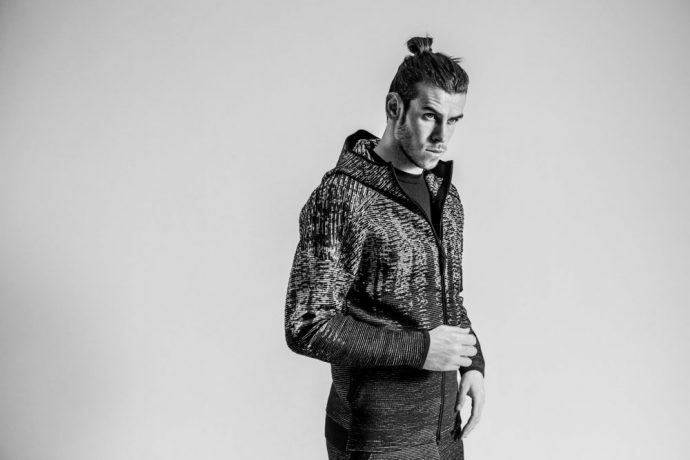 The collection will be worn by a selection of leading athletes from across a range of sports. This includes Manchester United midfielder Paul Pogba and Real Madrid forward Gareth Bale, Green Bay Packers quarterback Aaron Rodgers, Houston Astros Shortstop Carlos Correa, basketball stars James Harden and Damian Lillard, track athlete Tori Bowie, leading tennis players Angelique Kerber and Simona Halep, and TV host Rachel DeMita. The adidas Athletics Z.N.E. Pulse Collection, from $110 to $200, to is available globally on August 31 and will be available for a pre-sale exclusively on adidas.com starting August 22.